Maurice’s first game was Driver, in 1999. Since then he’s worked on over 40 published video games, including Killing Floor 2, Borderlands: The Pre-Sequel, Mafia III, Civilization VI, and the Wii Fit series. He’s worked as a producer, a designer, and a voice director, but most often as a writer. Between 2013 and 2015 he was Narrative Director at 2K Australia. 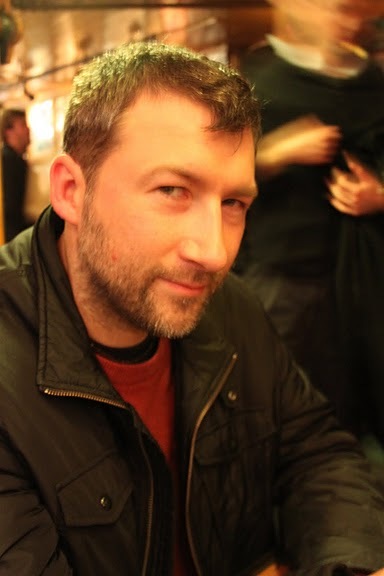 Outside of games he works in TV and fiction, co-writing Alphablocks for BBC TV, and publishing a collection of short stories, Photocopies of Heaven. He holds a PhD in Creative Writing from Newcastle University, and a Masters in Global History from Birmingham University. He is currently Professor of Practice at RPI in Upstate NY, where his research interests are storytelling in games, board and card games as storytelling systems, history in games, and history of games. Oh look, here he is, perhaps on the verge of having a thought. This is uncorroborated. Sometimes he works as a freelance writer, design consultant, voice director, motion capture director, animation director, or in some other consultant capacity within games and interactive entertainment. Otherwise you may find him doing much of the stuff that humans are regularly found doing. You can email him. Please do not be spam. Or he will not reply.